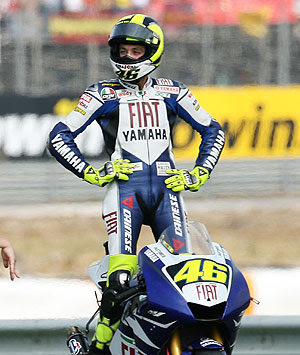 Valentino Rossi reached yet another milestone in his astounding career as he claimed his 100th victory at grand prix level with a dominant performance in the Assen. “It’s a fantastic achievement. 100 victories is a great number. Thanks to all the guys who have helped me to reach this number –my teams over the past ten years, Jeremy Burgess and especially all my close friends and family for giving me motivation. 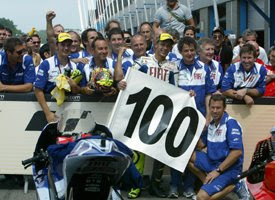 We hope to win some other races though!” said Rossi after stepping onto the podium with a custom made ‘100’ flag. On the race itself, which he led for almost the entirety after starting from pole, the reigning World Champion commented that: “I had a good feeling and knew that I was very fast on two or three points in the track, so I tried to get out to the front as soon as possible and impose my rhythm. It was a perfect race because any mistakes would have a high cost. 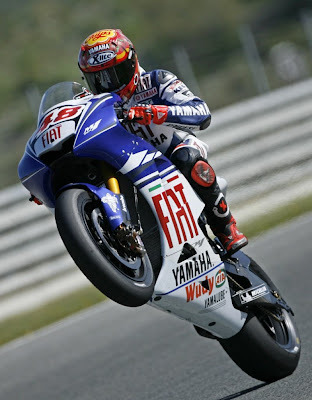 I knew that Lorenzo was very strong, so I tried to take an advantage. 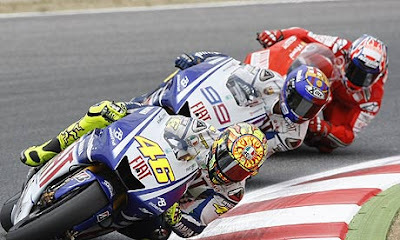 Valentino Rossi said his battle for victory with Jorge Lorenzo in the Catalunya Grand Prix was among the hardest fights of his career. 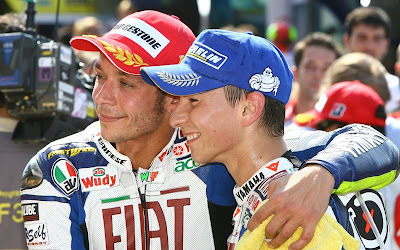 The two Yamaha riders swapped the lead repeatedly on the final lap, before Rossi secured victory with a bold dive at the very last corner of the race. 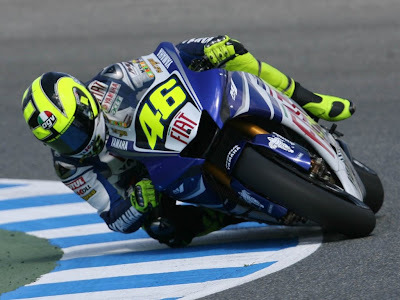 The reigning champion reckoned the dice out-ranked even his now-legendary dice with Casey Stoner at Laguna Seca last summer. Rossi admitted he will need some rest before the next race, commenting, “We have to test on Monday, to work hard on the bike and then after I just need to relax. I have a bit of a problem with my neck so I need to stay at home, in my own bed, relaxing and waiting, so I can be ready with the batteries recharged for Assen. Catalunya Grand Prix pole-winner Jorge Lorenzo believes the very hot conditions in Spain will make tomorrow's race one of the toughest of the year. The Spaniard is confident that he is fit enough to cope with the weather, but expects the event to be a test of endurance - and extremely close-fought.